See all 1,378 properties in Hongqiao Intl. 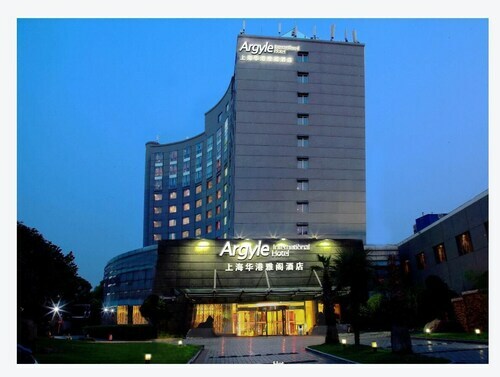 Located in Changning, this hotel is 1.1 mi (1.8 km) from Shanghai Zoo and 2.3 mi (3.6 km) from Xianxia Road. National Exhibition and Convention Center and Paramount are also within 6 mi (10 km). Hongqiao Airport Terminal 1 Station is 7 minutes by foot and Shanghai Zoo Station is 29 minutes. Located in Changning, this hotel is 1.1 mi (1.8 km) from Shanghai Zoo and 2.4 mi (3.8 km) from Xianxia Road. Paramount and L'Avenue are also within 6 mi (10 km). Hongqiao Airport Terminal 1 Station is 8 minutes by foot and Shanghai Zoo Station is 29 minutes. 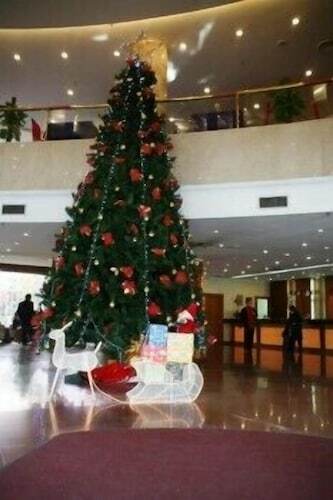 Located in Changning, this hotel is 1.1 mi (1.8 km) from Shanghai Zoo and 2.3 mi (3.7 km) from Xianxia Road. National Exhibition and Convention Center and Zhongshan Park are also within 6 mi (10 km). Hongqiao Airport Terminal 1 Station is 11 minutes by foot and Shanghai Zoo Station is 21 minutes. 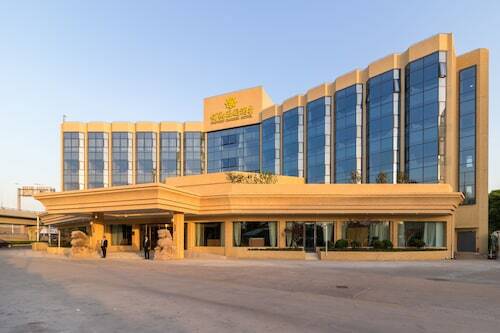 Located in Changning, this hotel is 1.3 mi (2.1 km) from Shanghai Zoo and 1.8 mi (2.9 km) from Xianxia Road. National Exhibition and Convention Center and Paramount are also within 6 mi (10 km). Hongqiao Airport Terminal 1 Station is 10 minutes by foot and Shanghai Zoo Station is 24 minutes. 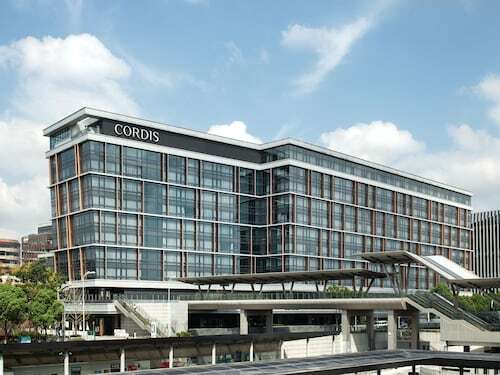 Located in Minhang, this hotel is 1.6 mi (2.6 km) from Hongqiao Tiandi and 1.7 mi (2.8 km) from National Exhibition and Convention Center. Xianxia Road and Shanghai Zoo are also within 6 mi (10 km). Hongqiao Airport Terminal 2 Station is 7 minutes by foot and Hongqiao Railway Station is 29 minutes. 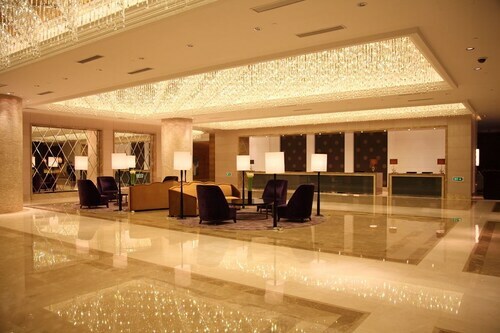 Located in Minhang, this luxury hotel is 1 mi (1.6 km) from Hongqiao Tiandi and 2.2 mi (3.5 km) from National Exhibition and Convention Center. Qibao Old Street and Shanghai Zoo are also within 6 mi (10 km). Shanghai Hongqiao Railway Station is 14 minutes by foot and Hongqiao Railway Station is 23 minutes. 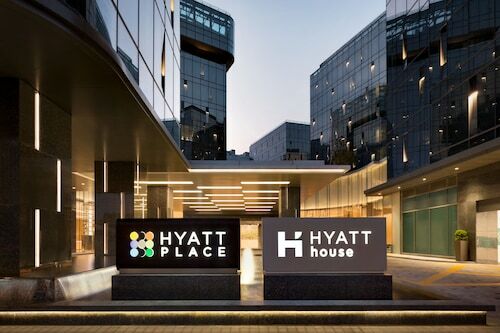 Located in Minhang, this luxury hotel is 0.3 mi (0.5 km) from Hongqiao Tiandi and 2.1 mi (3.3 km) from National Exhibition and Convention Center. Shanghai Zoo and Qibao Old Street are also within 6 mi (10 km). Shanghai Hongqiao Railway Station is 9 minutes by foot and Hongqiao Railway Station is 27 minutes. 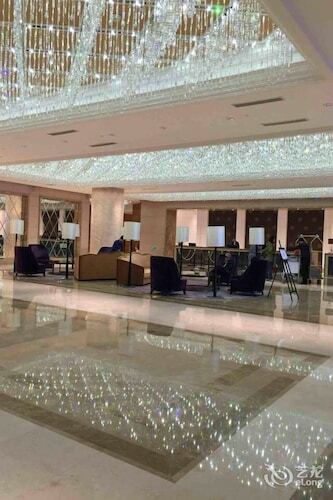 Located in Minhang, this luxury hotel is 1.7 mi (2.7 km) from Hongqiao Tiandi and 1.9 mi (3 km) from National Exhibition and Convention Center. Xianxia Road and Shanghai Zoo are also within 6 mi (10 km). Hongqiao Railway Station is 13 minutes by foot and Hongqiao Airport Terminal 2 Station is 19 minutes.